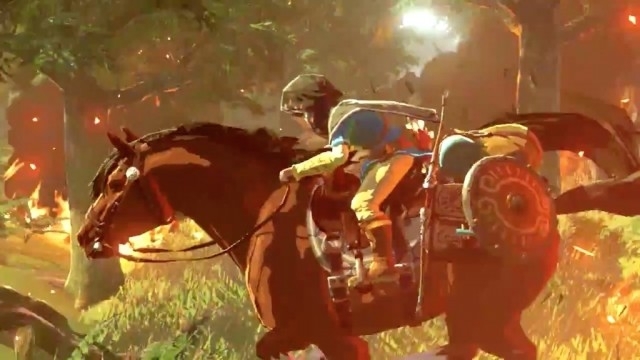 Daily Debate: What Do You Want More Of In Future Zelda Titles? It goes without saying that the Zelda series has a lot going for it. No matter what genre of game you like to play, there is something about this series that really draws people in. Each game has you going on an adventure to test your bravery, intelligence, and strength. See what I did there? They drop players into a fantastical world full of mystery and darkness, pushing you forth as the hero of light. The series even has a timeline dedicated to your character’s death. The history of the Zelda series is massive and continues to grow. The question is, what does it need to “grow”? Zelda game that I haven’t enjoyed at least more than the average player. I’ve never been the type of person to pick out the failures of the games, but tried to emphasize where they succeeded. That being said, there has also never been a Zelda game that I haven’t thought could use just a little bit more “something”. Ocarina of Time and Skyward Sword had phenomenal story lines, but forced players to be bombarded with notifications ranging from “Why aren’t you going to the next destination?” to “That’s a door.” The Legend of Zelda and A Link to the Past allowed players to adventure freely, but suffered by not having as much story or character interaction. I honestly think that Twilight Princess came closest to being everything I wanted, but the overworld was just too empty. Zelda U on the horizon. It promises to be a massive open world (kind of) with a lot to see and explore. So in today’s daily debate, I ask you: What do you want to see more of in the next installment? Have recent entries been too easy? Maybe you want more character interaction. Did you enjoy Hyrule Warriors so much that you crave more action or do you want to see the option to take a stealthy approach if you choose? Let us know in the comments below.